The forest holdings comprise approximately 4,000 hectares of forest located in four municipalities and eight congregations. The area is partially divided and the forests close to covers about 75% of the total area. 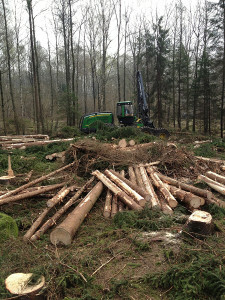 Most of the foundation’s forest holdings are production forests. The forest areas are hilly with the exception of the land earlier used by farmers, which was planted mainly in the 1940s. In February 2014 a collaboration between four property owners around lake Mjörn was started and the company “Skogsegendomar i väst” was founded. The company hired a forest manager, Anders Josefsson, which is responsible for plans, certification issues, harvesting, forest management and other activities related to the four owners of forest. In addition to Östad Foundation also Öijared, Nääs and Hulta are included. With all four owners included is the total forest area approximately are 7,600 hectares. 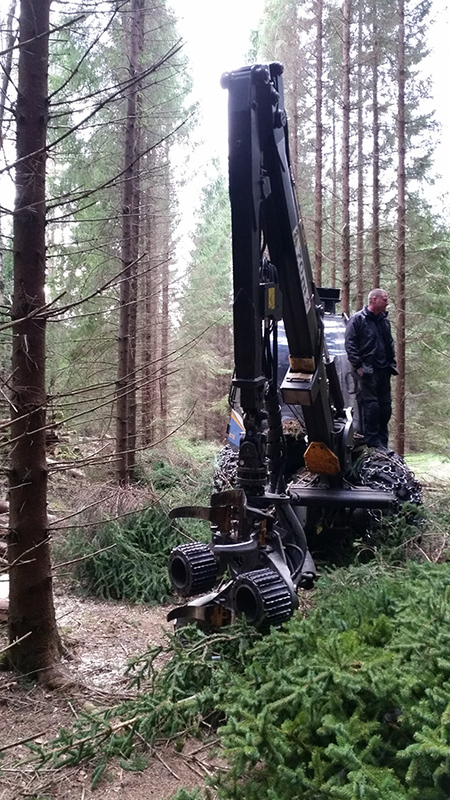 Our forestry is FSC® (License Code: FSC-C007279) and PEFC™ (Logolicence nr: PEFC/05-22-61) certified through our membership in Svenska Skogsföretagares Certifieringsgrupp SSCG. An area with particularly high conservation values ​​are Djurgården, a peninsula just over 200 hectars that stretches out in Mjörn east of Östads manor. Djurgården previously was covered by pastures and today about half of the peninsula consists of deciduous forests. Parts of Djurgården together with an area north of Östads manor are included in an agreement classified as Natura 2000 areas. The agreement was settled in September 2014 between the Foundation and the provincial government and a future action plan to ensure the Natura 2000 areas was established.